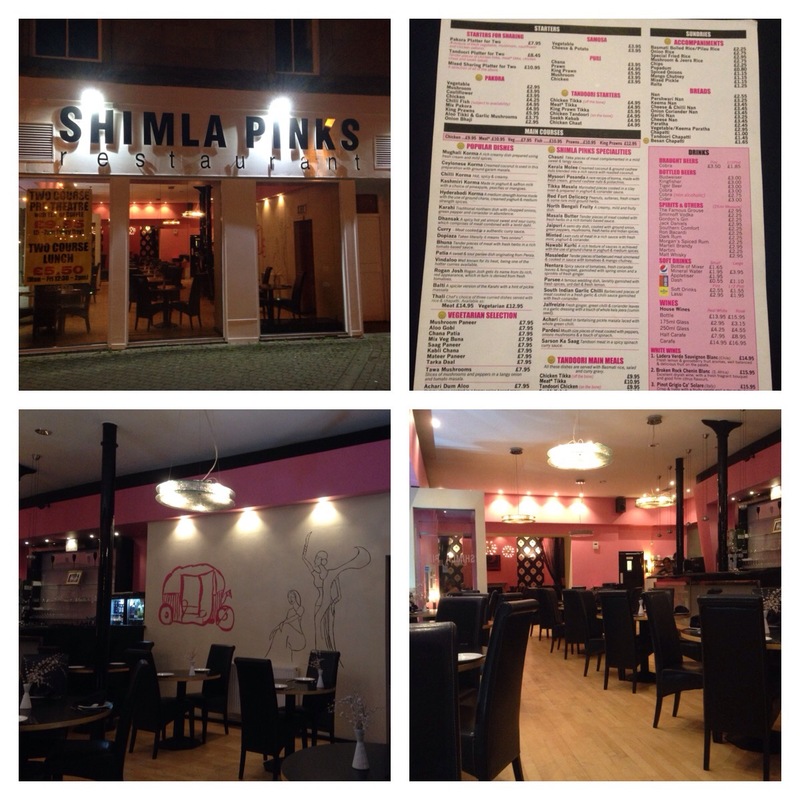 The BFM was spoilt at the contemporary Indo-Pak restaurant in the South Side of Glasgow that is Shimla Pinks (SP). SP has been on the go from the early 90’s and the current owners took over in the early naughties. They brought the original chefs back and voila SP was reborn. Lamb South Indian Garlic Chilli (Hyderabadi style) and Peshwari nan which was huge and was a great accompaniment!. 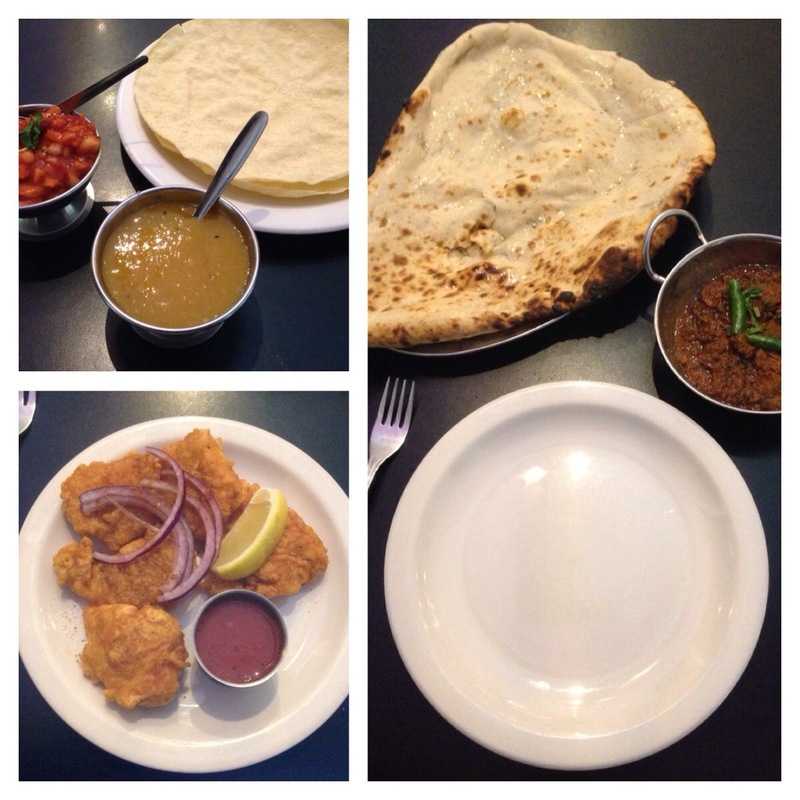 There are lots of different dishes compared with the more traditional Indian styled restaurants to choose from. What I had were some of the signature dishes. The main menu is a one sided menu which displays all starters, mains, sundries and drinks. 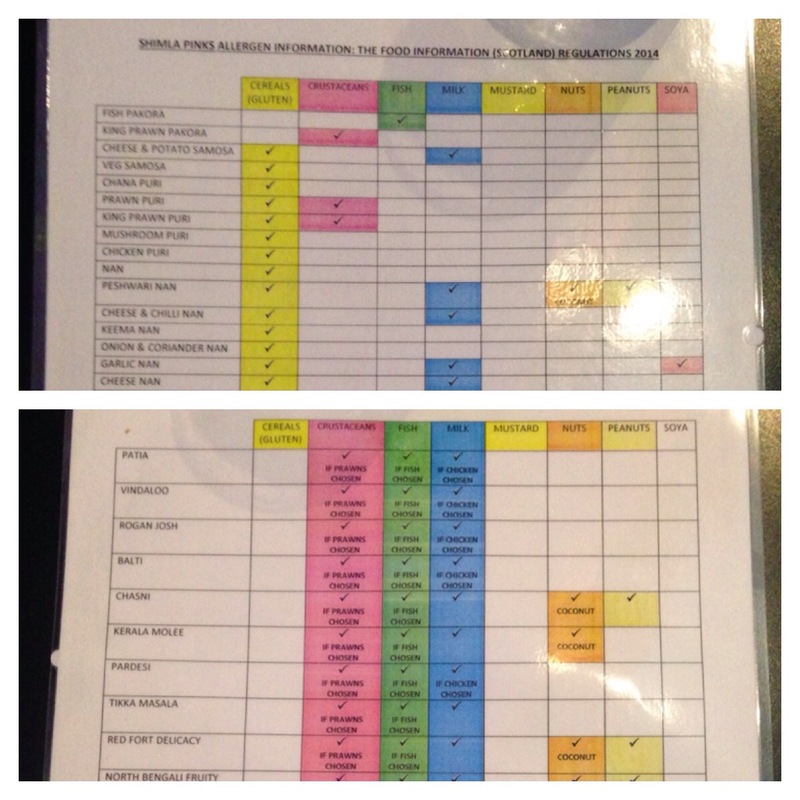 All allergens are listed on a chart which is colour coded. The restaurant is also very gluten friendly. The owner would periodically invite regulars to choose paint colour schemes (different shades of pink on a yearly basis, highest voted pink is used) wine tasting and home cooked food events. A gem of a restaurant in the South side. Once againe the BFM shares the food love!!! Ciao 4 now! !